The ladies are on the pier at Eastbourne. I imagine they’ve had a good lunch and a glass of sherry, followed at teatime by cream cakes. Now they’re taking a companionable nap. Cheeky to have snapped them, but who could resist? 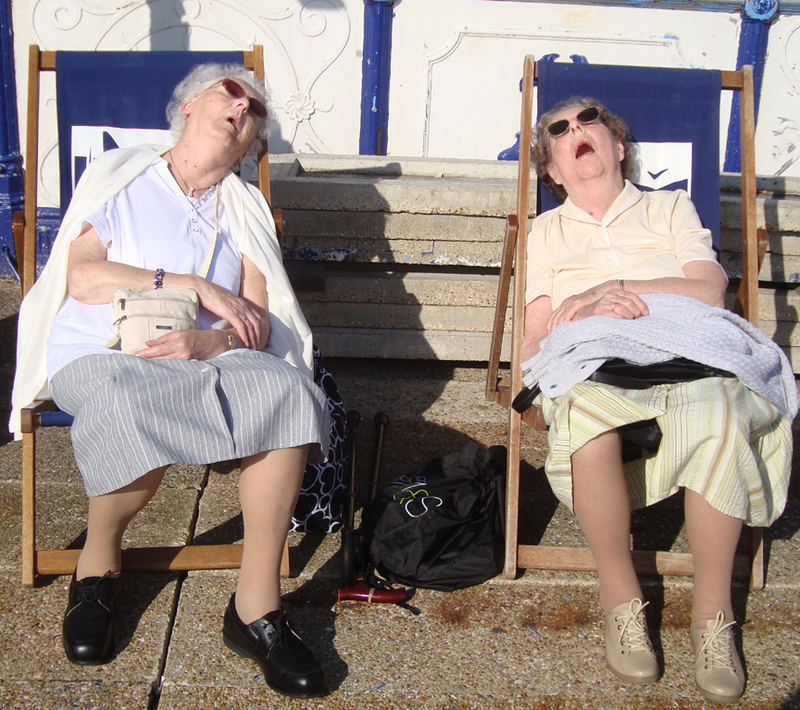 This entry was posted in Uncategorized and tagged Eastbourne, street photography, two ladies. Bookmark the permalink.